There are two types of markdowns you will take in your retail store. The first is the obvious one – a sale or event. This is when you run a sale in your store like 25% of all shoes or Buy 1 Get 1 50% off. In these cases, you incur a markdown. You are reducing your price in order to entice customers to buy, thus creating some cash flow for your business. The second type of markdown is a permanent price change. For example, let's say you bought a certain style of shoe in four colors. You put them all out on the sales floor at $100 each. Two months later, you have sold out of two of the colors and some of the third one, but you have sold none of the fourth color. In this case, your customer is telling you they will not pay $100 for that color. So, you reduce the price in order to entice the customer to buy. The best practice is to reduce the price only on the color that is not selling versus all of the styles. After all, why would you want to take a markdown on the shoes that are selling at full price? Many customers will look at that sale price and now consider the color. In fact, a great practice is to do a Buy 1 Get 50% off of the non-selling color. Often times, a customer will consider the color if the price is right. Markdowns are inevitable in retail. Typically, they come because a poor decision was made when buying. Since buying inventory is about math way more than it is about your fashion sense. For example, go back to our four colors in our shoe example. If you were thinking properly and trying to avoid markdowns, you would have bought 12 pairs each of the two colors you knew would be a hit and only six pairs each of the other two colors. This way, if a markdown is needed, it will not impact your bottom line as greatly. While a markdown is used to incentivize the customer to buy the item, another consideration here would be to incentivize your sales staff. By using a “spiff” you can reduce your markdowns in your store. A spiff is a special payment made to the salesperson who sells the shoe (or purse or TV, etc.) It is a set $ amount for each sale. For example, if you sell this shoe, you will get paid an extra $5 spiff. Spiffs for employees are smart for two reasons. One, the employee is getting rewarded for their behavior in helping you remove bad inventory. And second, $5 (while still a markdown, even though it will show up in selling costs on the P&L) is much cheaper than a 20% markdown on the original selling price. The truth is, no matter how great the incentive to the employee, sometimes you just make bad buying decisions – we all have! In these cases, no spiff is going to make up for it. The best practice is to never fall in love with your inventory. Don’t let your ego or pride get in the way. If it's a bad product, mark it down and get it out. Many retailers hang on to inventory too long trying to “get the most out of the sale.” Sadly, the longer it sets in your store, the more it impacts your visual appeal, which is a hit to your customer experience. Plus, a shoe on the shelf is worth nothing to your business when a bill comes due. Cash flow, on the other hand, is. 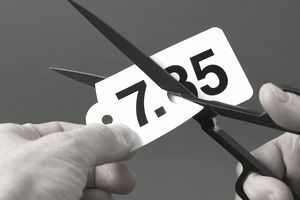 Sometimes the best practice is to take the markdown and get rid of the merchandise which creates cash flow to “fix” your mistake with a better product next time.